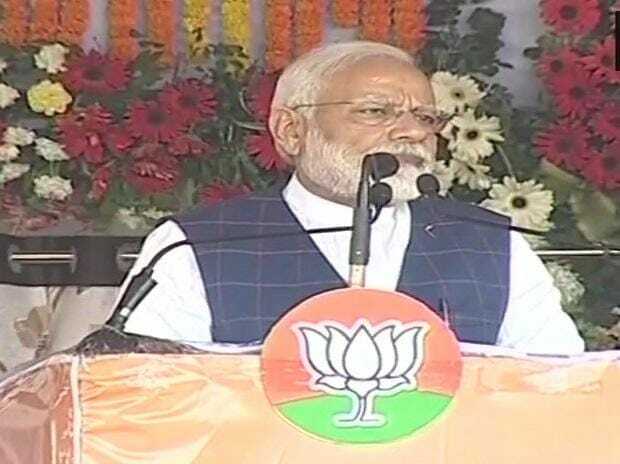 Prime Minister Narendra Modi addressed a rally in Chhattisgarh and another rally in West Bengal on Friday while Congress President Rahul Gandhi addressed a 'Kisan Abhar' rally in Madhya Pradesh's Bhopal. Prime Minister Narendra Modi accused West Bengal Chief Minister Mamata Banerjee of trying to protect those involved in chit fund scams and warned that "neither the perpetrators nor those shielding them" will be spared. He said Banerjee's ruling TMC had inherited the legacy of "violence and atrocity" from the previous Communist government, and had "continued the legacy", thus "defaming" the soil of West Bengal. Modi also rejected the proposed 'Mahagathbandhan' (grand alliance) of opposition parties, saying it was 'Maha Milawat' (a grand adulderation) of people who were without any ideology or vision for the country. The prime minister laid the foundation stone for the four-laning of the Falakata-Salsalabari section of National Highway-31 D and inaugurated the Jalpaiguri circuit bench of Calcutta High Court. He also addressed a rally in Chhattisgarh. In a 'Kisan Abhar' rally in Madhya Pradesh's Bhopal, Congress President Rahul said that the 'minimum income guarantee' which his party is promising would not be the Modi government's Kisan Saman Nidhi scheme, under which farmers will get only "Rs 17 per day". He also alleged that the Prime Minister's Office was directly involved in conducting negotiations with the French side for Rafale fighter jets and this had weakened the Ministry of Defence's (MoD) negotiations on the same deal.